I made a decision recently to try something a little different with my weekly podcast, The Vibe Shifting Show. I’ve reached out to several topic experts in various fields that intersect with what I do here on the blog, and asked them to come onto the show as guest experts so we could have a two-way chat about topics they’re passionate about, and which I think my audience (you!) would really enjoy. 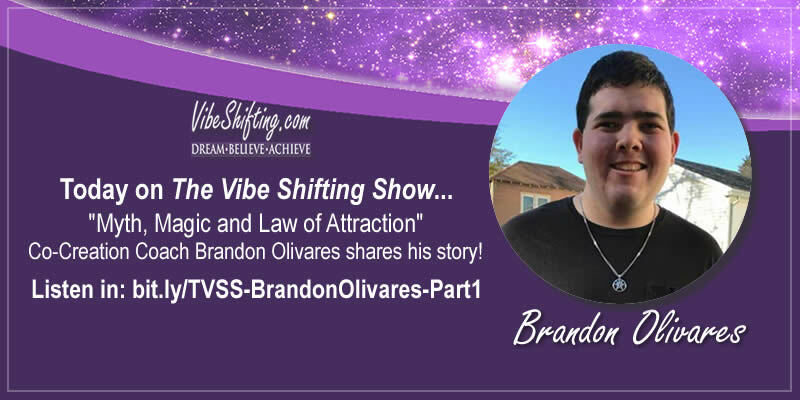 In today’s show, part one of my interview with guest expert Brandon Olivares, we discuss the connections between myth, magic and Law of Attraction. Part two of this interview, in which we talk about the idea of living magically and discuss rituals for reducing resistance, will air next Friday, so be sure to subscribe! Nathalie: Welcome to the Vibe Shifting show everybody! This is Nathalie Thompson and I am very excited because I have a very special guest that I’m going to have a little chat with today. We’re talking with Brandon Olivares from cocreationcoaching.org. 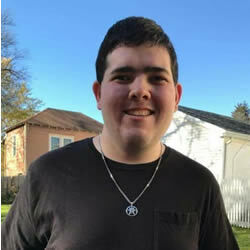 Now, Brandon is dedicated to helping those who have tried the Law of Attraction but haven’t gotten the results they desire. As a certified master practitioner of NLP he knows how to work with the subconscious mind to get real world results. And he’s been doing exactly that in his own life and the lives of his clients for over two years. So, welcome Brandon, and I’m so excited to have you here! Brandon: Thank you so much. I’m excited to be here. Nathalie: So today what we are going to be talking about is myth, magic and Law of Attraction. 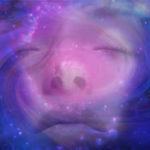 And one of the big concepts in LOA is this idea of interconnectedness, of one energy field and how everything, all living things, even non-living things – everything that is – is connected to one underlying field of energy. Nathalie: And I was poking around on your Web site and you had this one particular article that really caught my eye where you sort of just touched on this idea. You were talking about myths and stories and cycles, and about how we used to be more connected to the realm of the Spirit in our earlier history as humanity. And this I thought was really fascinating. I’m just in the process of writing my next book. And it involved a lot of research into Joseph Campbell’s ideas and it also took me to Carl Jung and archetypes and Shadow work and all that sort of stuff. All that kind of stuff is all tied into this concept of this interconnectedness. And you said that we’ve lost our connection to these cycles. Brandon: Yeah. I think that today we have this ultra-modern scientific society where it’s almost preferred that we be skeptical and are more and more like atheists. And even those who aren’t don’t really have a huge spiritual connection. And we sort of think it’s silly when we look back at those old cultures such as Native American, or indigenous, or even more ancient religious cultures, and they attributed everything to Gods and spirits and fairies. And today we just insist we have a scientific explanation for how thunder works and lightning works and how all these things happen. But to me, the physical is only the effect of a whole process, the whole universal process that’s going on. And when we focus on that to the exclusion of all else, which is what we have been doing, we’re kind of cutting off the very root of our being. Brandon: So we hear “myth” and we think that means it doesn’t exist, it’s not real. Nathalie: …we’ve lost some indefinable element of what we really are. We’re more connected than ever in the modern world and yet more and more people are feeling isolated and alone. Brandon: Yeah, I think that’s why depression is on the rise and anxiety is on the rise because we live in these lives where we don’t feel a connection. We might have tons of human connection through the Internet, through social media, even through in-person friends and whatnot. But we’re less and less focused on that larger aspect of ourselves and allowing… to me it’s about allowing life to be magical. Brandon: Yeah, I love the word “magical”. Nathalie: I do. This is one of the things that really sort of catches my attention with the stuff that you do. I’m just drawn, like a magpie to something shiny, to that word “magic”. 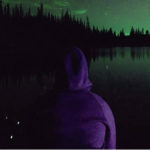 Nathalie: And he says that this loss of myths, our losing our stories that connected us to each other and to the world around us, is a problem because these were the stories that helped us to know how to live our lives, how to be in this world. Nathalie: He says that this is at the root of most of the major problems that we’re seeing in the world today. 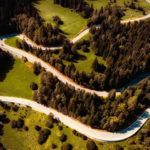 We just don’t have that guiding framework that used to help us navigate through all these problems that, in living in a society, these problems that we have. We used to have a framework for dealing with it, but we just don’t anymore. Nathalie: …to create a defining myth. Brandon: I think I think that’s true. Like I said, it’s ultra-scientific now and everything is about technological advances, which is which is wonderful. I mean we’re both on our computers [doing this interview]. Brandon: But it’s a great thing, you know? I always say I would hate to have been born 100 years ago, especially me as a blind individual. If I were born, say 100 years ago the world would be very, very, very much worse off for me. So I appreciate the advancements we have. But we also have that disconnection where we don’t have… we’re not developing those myths. We’re not allowing them to become part of our lives. And I think that can really cut us off. I think we do get some of that from movies, especially, and whatnot; stories, books. But we sort of compartmentalize it in one little part of life. We go to the movie theater or we watch a movie on Netflix or something, or read a book and that’s it. And the rest of our lives… we don’t really know what to do with that. Brandon: Yeah, I think so, too. Nathalie:…sort of more infiltrates your way of thinking. So I think you carry it with you more. Brandon: I think books are more – we’re given the raw material of the story and it has to take form in our minds. Movies are just sort of spoon fed to us because we have the visuals. Nathalie: We are the ones who make the meaning. Nathalie: …in a different way. So I think in that way the books stay with us a little bit longer. Brandon: Yeah definitely. And you know a movie… sometimes you’ll have a good movie and you’ll walk out and philosophize about what was in the movie. I know, for me, I loved Inception, it was a great movie. Nathalie: I haven’t seen that one, actually. Nathalie: I’ve been waxing rhapsodic lately about the fabulousness of a TV show that was on back in the 90s. It was called Babylon 5, and it was written by J. Michael Straczynski . It was – it still – in my mind anyway, it was one of the best shows that has ever been on television. Nathalie: Not just because I’m a sci-fi fan, but because the topics that it discussed are sort of universal across time. Nathalie: And especially re-watching episodes in the current political climate of the world, it’s just like “wow”. I think he was predicting from 20 years ago. And it was the philosophy, the ideas. I think they stick with us and they help to form us in ways that I don’t think we really understand at the time that we’re first exposed to some of these ideas. Brandon: Hmm. I love that. 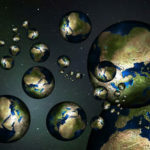 Nathalie: So that’s that power of the myths and the stories that, again, ties back to this concept of “there’s something that underlies everything, that connects us all”. Brandon: Yeah. And I think that the mythology – If you look at ancient mythology, especially Greek mythology and Roman, all of them have archetypes. Does Human Intention Create Gods? Nathalie: …the tribe around the individual. Sorry, that just totally made me think that one particular story scene from his book. Brandon: Yeah. I always liked his books a lot. I think it’s like I said. We, in a sense, create the gods and this is an ongoing debate, I think, especially within the Pagan community. I think in a sense we create the gods, not in an atheistic way, like “oh they’re just figments of our imagination”. Brandon: To me how it is, is that there is this raw essence, raw universal essence. Chaos, you could call it. Or whatever. And there are infinite facets of it, infinite aspects. 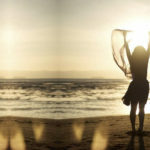 And we take that through our culture, through our experiences, and zoom in on the certain aspects of that raw energy. And we name it, and we tell stories about it, and it becomes more and more real. It takes on personality, it takes on shape, it takes on form. And you have the same sorts of aspects in every culture. Every culture has the sun god and the death god, and that kind of thing. And there are huge commonalities, and we give them a lot of those attributes. But it doesn’t mean it’s not real because those attributes already exist. We’re just sort of the formers of that into energetic structures, let’s say. Brandon: And you know I’m… I don’t know how many of my posts you’ve read, but I’ve worked with different deities over the years. And I find it helpful. And I find they have specific personalities. I find that they have a life of their own. I mean, there’s certainly a relationship with that being that is specific to each person. But also that being has a life of their own where it’s not just you; it’s this actual entity, this being out there, constructed over thousands and thousands of years. And in magic we have the idea of thought forms, of servitors and all sorts of things that are basically lesser versions of these massive deities, God beings. I think they’re very real. But I also think that they’re a result of our culture bringing them into shape, into form. Nathalie: …that ties everything together. It’s like the Force. It exists throughout all things. It ties all things together. Nathalie: So if you’re gonna start manipulating and working with the Force you need to believe that the Force is there, right? Nathalie: So that works for you? Excellent. So when we start getting into this concept of magic you’ve got to mention Aleister Crowley. 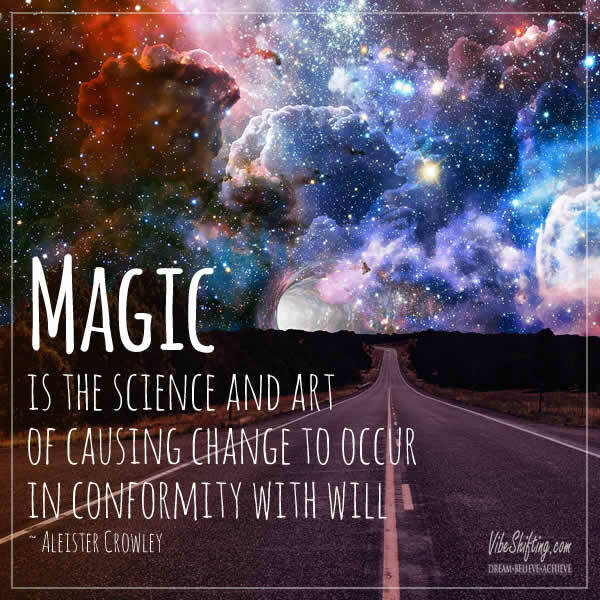 Nathalie: And somewhere online I found… he defined magic as “the science and art of causing change to occur in conformity with will”. 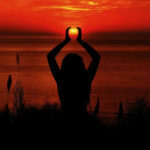 Nathalie: Which is in essence the whole point of Law of Attraction, right? 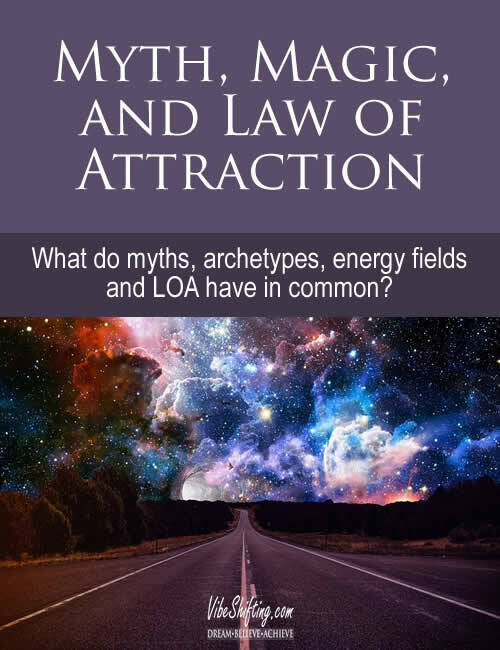 Nathalie: So this is another thing that absolutely fascinates me about the stuff that you do because you basically flat out state on your Web site that magic and LOA, they’re at the same thing. Nathalie: They are exactly the same thing. Nathalie: So, I love that! I think this is awesome! I’m a Harry Potter fan, so for me to think I can do wizardy stuff, I think is awesome! Brandon: Yeah. I’ve been fascinated with magic since I was about 10 years old. I had an older cousin who was into Wicca at the time and she kind of got me introduced to it and actually started my whole spiritual journey when I was 9 or 10 years old. Nathalie: That is really cool. Nathalie: Now, I have heard of Wicca. I know just the outer edges of Wicca, Paganism, that kind of stuff. But I’ve got to tell you, when I think “Wicca” my mind instantly goes “Willow from Buffy the Vampire Slayer”. Nathalie: I’m expecting you to be floating pencils and stuff. Brandon: Actually it’s, I don’t want to say mundane, but it’s actually, it’s very… There’s ritual, there’s… you know, you draw the circle and all that kind of stuff. Nathalie: …even realizing it, right? Nathalie: So I know there’s a whole defined philosophy and stuff that goes around this but I instantly think Willow. Nathalie: My apologies to any and all Wiccans who are actually listening to this right now. I’m going to get so many e-mails from this, aren’t I? Nathalie: I’m just trying to think… out of all the things you could do with Law of Attraction or magic, that would not be the top of my list. Brandon: [Laughter] No, not really. But you know there is… I tried a lot of ritual magic and it never really did it for me. I’ve tried it and I think doing it the right way really is so powerful and so profound. But for me, I’m a really, really practical person. I like the shortest path to the quickest results. Nathalie: I like that idea. Nathalie: You really have wands? Nathalie: That’s so cool! Now I want to know if it has a unicorn hair in it. But I’m not one to do a lot of that. I have messed with that a bit. Actually, when I was really getting into it, I got a magical robe and I think I wore it once. Nathalie: And again what pops into my head is Anthony Stewart Head in his magic shop as Rupert Giles, with his robe… the blue with the stars and moons and wearing the pointy hat. Brandon: Yeah. But I was never super into that. Nathalie: Tell me that’s not what your magical robe looks like. Brandon: No, that’s not. Usually. Sometimes they’ll have pentagrams or something. But I’ve never been really super into the ritualistic stuff because for me it’s just sort of a waste of time. Brandon: It’s just props. All ritual is doing, basically, is convincing your subconscious mind that something really serious is going on here. Nathalie: It’s a focusing thing. Brandon: It’s a focusing thing. Nathalie: That’s something Campbell talks about that a lot in his work as well, when he talks about the ritual and stuff, particularly in the Catholic Church. That all of these rituals, any kind of ritual really, is basically a focusing tool. It’s meant to, in LOA terms, align your energy with what you’re trying to accomplish. Brandon: Right. And that’s why Law of Attraction is magic, because it’s the same. You get your vision board or you put together an affirmation or you visualize… you’re using ritual tools. Affirmation is basically a chant. It doesn’t have to be all formal and stuff. A vision board or something like that, or people who write a letter and put it into a box to give to the universe, it’s ritual. That’s all magical ritual. It’s just very simplified from, let’s say what the Golden Dawn did, or Wicca, or Aleister Crowley, or whatever. But it is real magical ritual. So, I have been straightforward with this on my website when I’ve written about this. I will tell people that if you use the Law of Attraction, you are practicing magic. You are a magician. There’s no ifs ands or buts about it. You are doing it. Nathalie: I’m actually so excited about this right now. I’m going to have so much fun with this. You know this, right?